Fast Road, Rally, Race & Turbo Camshafts for Ford ST170 Engines. Ford’s 2.0-litre Duratec ST170 engine still has many fans, particularly for its ability to readily mate up to popular off the shelf rear wheel drive Ford transmissions. conjunction with either carburettors or independent throttle bodies. normally fit around the Ford VVT drive sprockets. The new Cat Cam’s 2301013 profiles are a direct swap for the original Ford items and are totally compatible with the standard ST170 mechanical valve gear. Cat Cams 2301013 profiles and 45mm throttle bodies produced an impressive 207 bhp @ 6800 rpm, allied to 177 lb.ft of torque at 5500 rpm. The spread of torque produced by the Cat Cams is equally notable, with over 160lb.ft available from 3700 rpm to 6700 rpm, highlighting the driveable nature of the profile. Priced at £643.81 including VAT @ 17.5%, the Cat Cams 2301013profiles are available now directly from Cat Cams UK and from your nearest Cat Cams dealer. The adjustable alloy pulleys (which are required because the Ford VVT mechanism is built into the inlet cam) carry part number CTF0170, priced at £257.95 including VAT @ 17.5%. 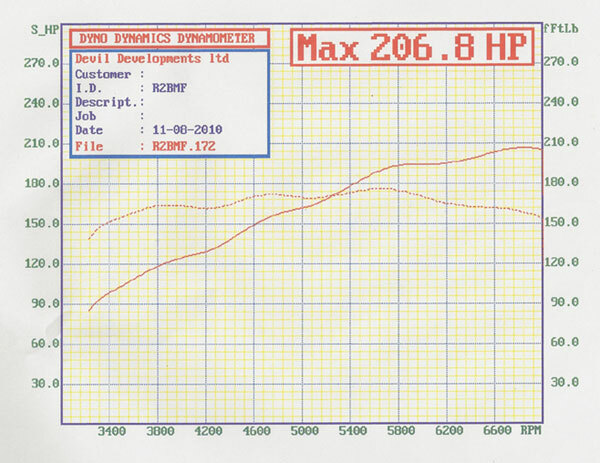 All profiles available for use with or without Variable Cam timing. Non VVT cams use the original Inlet cam oil seal.